Actually, I guess I should say “Happy New Year”. Time is the only thing I feel I’m lacking in my current life. But that’s a good thing, I suppose. I spend my free time in Fukuoka, in, of course, Tenjin! Yes, the very basement of the Mitsukoshi building! There are lots of expensive brands, so I didn’t bother ever going in. But actually, the B2 Floor of Mitsukoshi is like, heaven. Well, I like sweet things a LOT, so..
No matter what the excuse, I always stop by Mitsukoshi when looking for sweets. 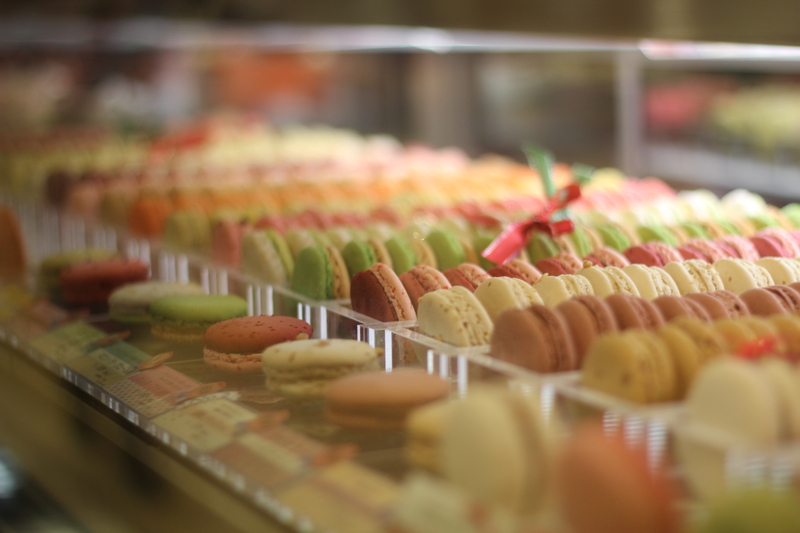 You can find any sweet almost instantly, and the prices, although depending on the store, are very reasonable. Also, there is something I always make sure to buy when I’m in Mitsukoshi. I really really really recommend it. Even though it’s a little expensive. 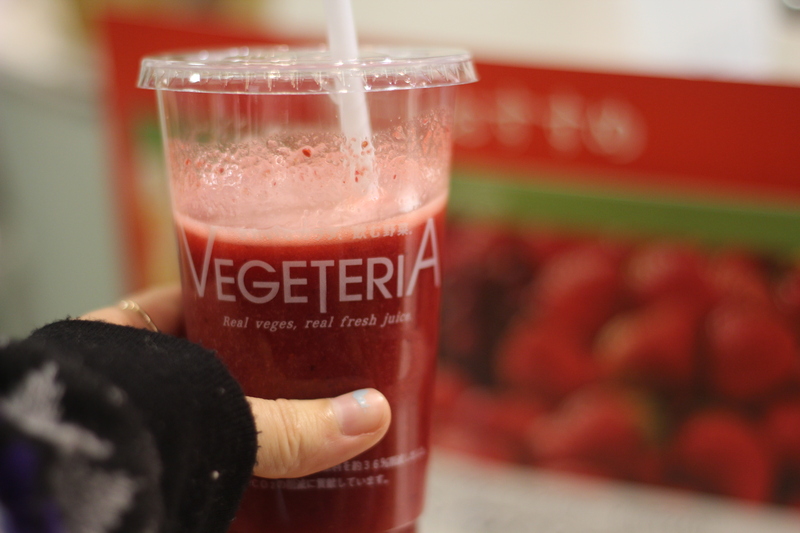 They make fresh fruit and vegetable juice made from whatever is in season at the moment. And the type of juice sold changes daily. I really like their Kale & Banana Juice, or Kale & Kiwi juice, but they didn’t have it on this day. So I chose the Amao (a Fukuoka local Strawberry), Acerola, and Cranberry juice instead. Since it was full of vitamins, it was called the “Vitamin C Special”. I love sweets, but too much sugar is bad for your body. So the naturally occurring sugars in these fruits really hits the spot for me. 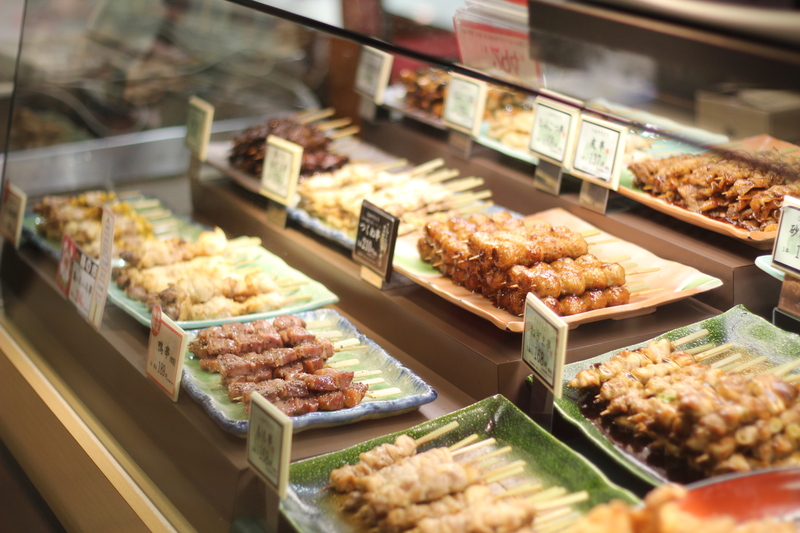 Of course, you can buy more savory food in Mitsukoshi as well! Sometimes I buy my dinner there too. 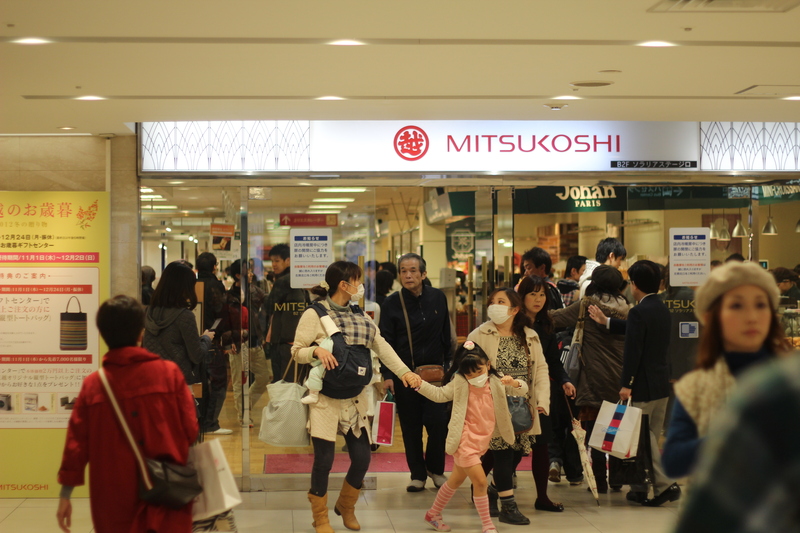 I’ve seen the other basements of the other department stores in the area, but I think Mitsukoshi is the best. I think many Japanese people know about this, but I don’t know how many foreigners know this place exists.. If you have the chance, I’d definitely like you to stop by and check it out. Okay, so question for you! Where do YOU recommend for cakes and sweets? I’ll try to update again soon! There are still so many things I want to write about! Posted in Dining, Food, fukuoka, japan, Local, MicaelaTagged でパート, グルメ, ケーキ, スイーツ, デパート, デパ地下, ベジテリア, マカロン, ミカエラ, ローカル, Cake, ciaela, 福岡, fukuoka, Fukuoka Now, in Fukuoka, macaron, Micaela, Mitsukoshi, Sweets, sweetsc, Vegeteria, 三越, 九州Bookmark the permalink. Hey u know what, I was in Fukuoka yesterday. I hoped I could meet u in Tenjin or somewhere around Fukuoka. Anyways, next time when u come here Tokyo, u need to stop by in Isetan Shinjuku underfloor. There are so much freaking outstanding sweets and smels like HAPPY. Isetan Shinjuku eh? Sounds good! I’ll try it next time! Tsudanuma Mall in Narashino, Chiba. I love the cake. I have tried it. It’s very nice. I was so disappointed when they didn’t sell it last year, so I’m glad it’s back. :))) Yeah. I am pretty backed up with blogging, but I am feeling motivated to get it started again, so who knows–maybe I’ll be able to catch up. Otagai mo ganbarimashouuu! 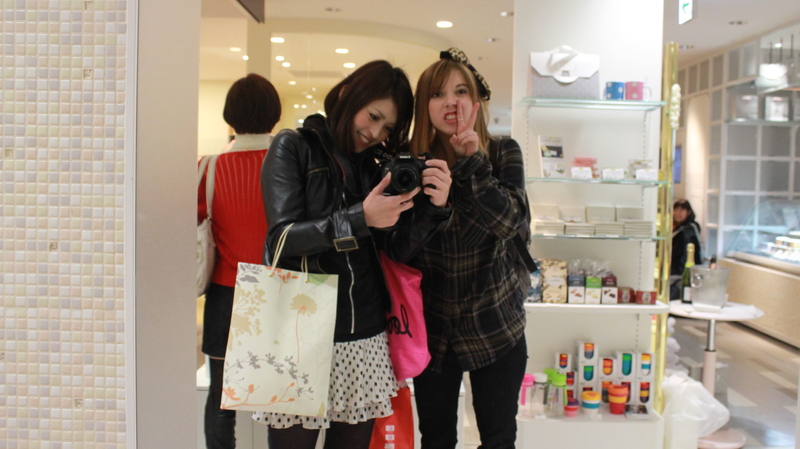 When my family and I were in Ikebukuro we would shop at Tobu. B2 had an amazing selection of foods. 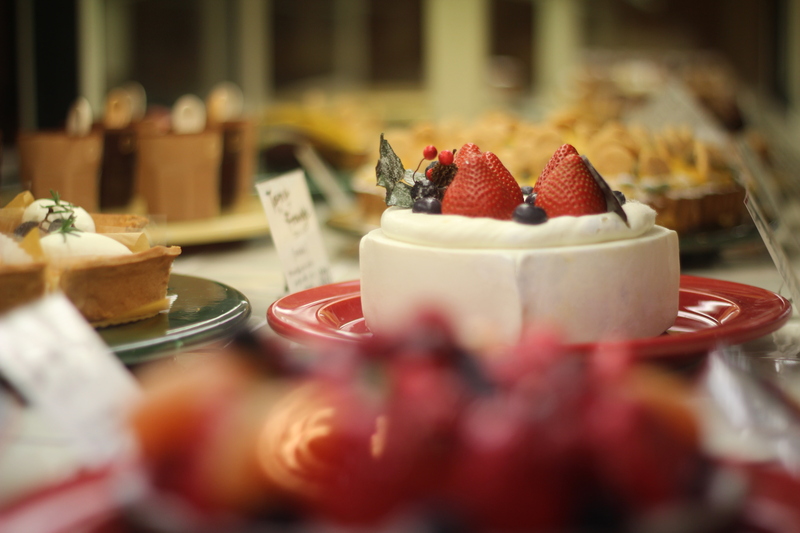 I don’t remember the name of the ‘bakery’ but omg….I could have eaten there all day! Haha. Sounds amazing. It’s probably a good thing you didn’t end up eating there all day though. I’ll check it out the next time I’m in the area! I know right The one thing I like about Japanese “sweets” is that unlike the sweets in America, the ones in Japan aren’t that sweet. I’m from Wisconsin and holy crap can bakery/sweets get ridiculously high sugar content! 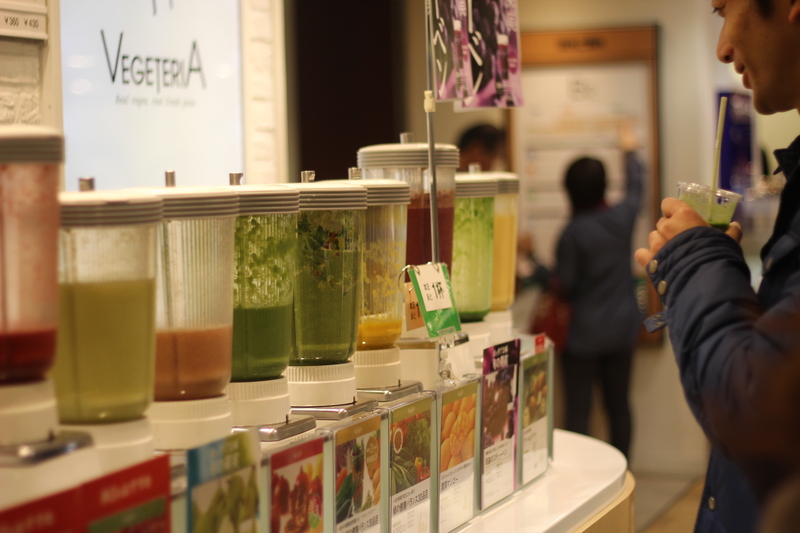 There was also a Juice stand/store/booth at Tobu as well but I didn’t end up checking them out. I will definitely hit it up next year on our visit. Unfortunately I have never been to Fukuoka, so I don’t know good shop there. But if you have chance to go to Shinjuku, please try to eat Tokiya’s Large Dorayali in Shinjuku (1st floor of Odakyu-Halk). I would like to visit Fuluoka in the near future. Hi! What’ up? I like your blogs or movies a lot because they are good for my English. Please keep doing those things as long as you can. I hope I can watch your next blogs or movies soon. Take care or your health; from Seattle. C U.
Hello, my name is Florea Andrei, and I’m a young entrepreneur. I’m 20 years old and my life wasn’t so good to me. I was wondering if you can help me with a fundraise. You have a lot of kind people around you (no doubt about that). Please, help a desperate man, help a man to fulfill his dream. Please don’t let me down..please. But..if you can’t help me, or you don’t want to..that’s ok..but at least..please share this link to other people..please help me. You can read my story and then you decide, at your kindness of your heart, to help me or not. Hello. I saw a TV program on YouTube that you broadcasted. You seem to love Japan so much. Hello, I just wanted to let you know I sent you a message on youtube. I was hoping you would read it and let me know what you think. I think there are lots of great places for sweets in Japan, but in Fukuoka/Tenjin I love going to the Daimaru basement because it has a small cheese shop with all different kinds of cheeses, a real rarity around here. The ladies who work there are so nice and always hand out sample after sample as you look. Hello, My name is Sara. I’m Japanese.Just wanted to say hello.I found your blog when I was surfing on internet and I loved it. I enjoy your photos and blog! Especially I miss Japan because I live far from Japan now. I enjoy country where I currently live but your blog makes me miss things in Japan!! Yeah Mitsukoshi is very good.